On 'Port Of Morrow,' The Shins Sail Back To The 1970s Singer, songwriter and driving creative force James Mercer discusses changing lineups and embracing vintage sounds on a long-awaited new album. 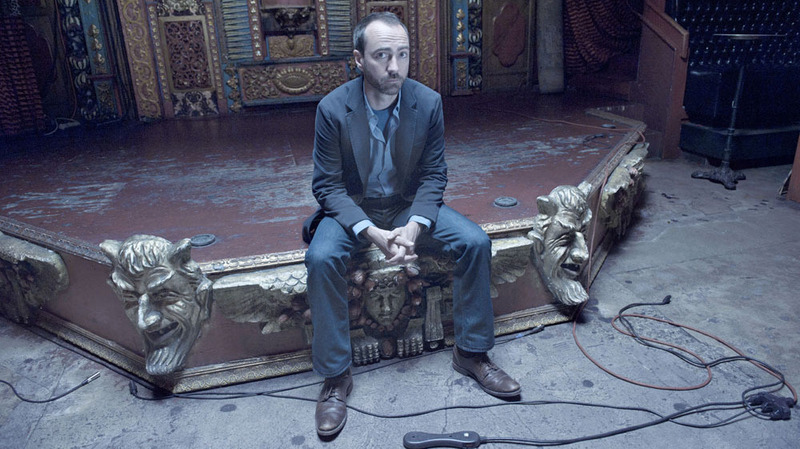 James Mercer has been the singer and songwriter behind The Shins since 1997. James Mercer's distinctive voice and earnest songwriting have always been at the heart of The Shins, but these days they are the band's only constant. Port of Morrow, the group's new album and its first in five years, finds Mercer leading a completely new set of musicians. "I think I needed to shake up my surroundings in order to get back to a state of mind where I was enthusiastic about recording, and fleshing out these songs that I had developing," Mercer says of changing The Shins' lineup. "I needed to have some new mode before I was prepared to start it up again." Port Of Morrow incorporates a palette of vintage-inspired sounds that is new for the band. Mercer says those decisions arose in conversation with the record's producer, Greg Kurstin — who, like Mercer, spent part of his upbringing in Germany. "We talked a lot about German bands from the '70s — Faust and Can, and some of the production work that Brian Eno did in Berlin at that time — that sort of aesthetic," Mercer says. "Greg spent time in Germany around the same time as I did, coincidentally. For me it was my favorite part of my childhood. ... Certainly in my mind it is conflated with the sounds of the records that came out then." One such vintage element: a standout trumpet solo in the song "Fall Of '82," which could have been plucked straight from a classic Herb Alpert record. "I really wanted a horn part there," Mercer says. "We were thinking about bands like Steely Dan and Chicago, the sort of classic pop of the '70s. I thought that'd be the perfect surprise instrumental break."